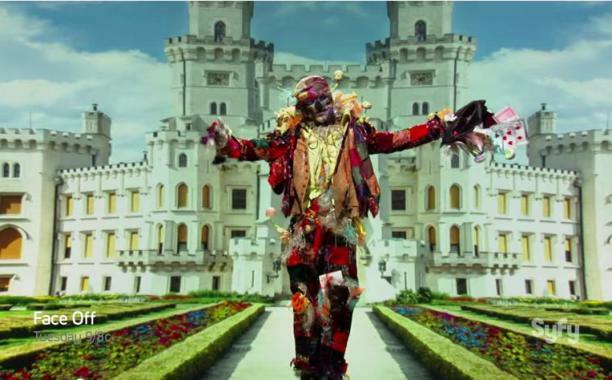 Face Off: Wizard of Wonderland (Recap and Review) Episode 6 of season 7 Face Off: Wizard of Wonderland, aka Oz Meets Wonderland begins with the ten contestants headed down to Sony Pictures Studios and saw a scene from Alice of Wonderland that looked to be the Mad Hatter’s tea party. While standing in front of the tea party setting, they learn that because of this year’s 75th anniversary of The Wizard of Oz, there will be a marrying up of the two worlds in this week’s challenge. Keighlan is very excited and as she says to the camera “I am in heaven because The Wizard of Oz is my favorite movie.” Unlike last week’s contest, the Oz Meets Wonderland spotlight is a team challenge. The remaining contestants paired up and and had create characters from The Wizard of Oz who have somehow wound up in the world of Alice in Wonderland. 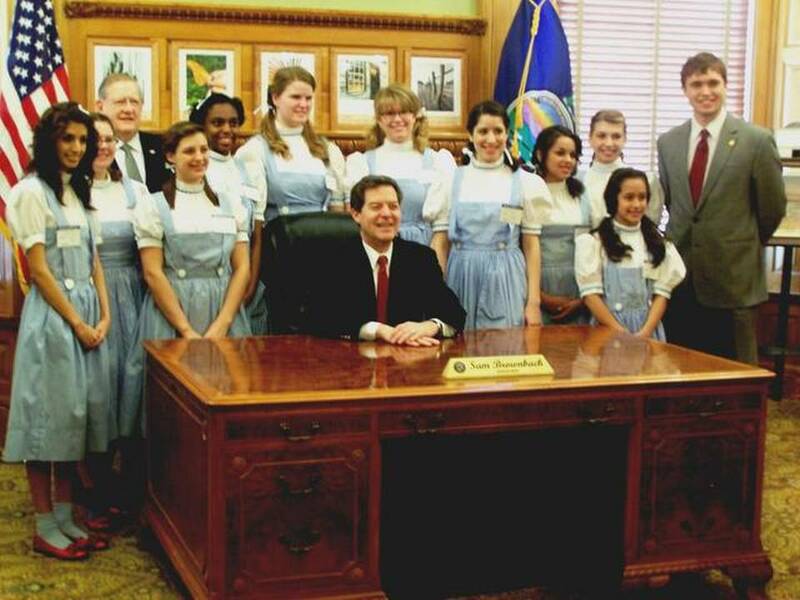 ‘Wizard of Oz’ forever linked to Kansas’ legacy For better or worse, the characters from Oz are so entrenched in American culture that when Kansans go visiting elsewhere they often are asked, “How’s Dorothy and her little dog, Toto?” “We have this love-hate relationship,” Jay Price said. “The Wizard of Oz is our default setting,” particularly when it comes to tourism. Many of Kansas’ western-themed attractions — such as Wichita’s Old Cowtown Museum and Boot Hill in Dodge City — were created in the 1950s and 1960s, Price said, when television and movie westerns were popular. But the Wizard of Oz — which debuted in theaters 75 years ago this month — had long before that become timeless. “We are stuck with it the way Georgia is connected with ‘Gone with the Wind’ and Austria is connected with the ‘Sound of Music’,” Price said. Becoming Toto: How a Female Terrier Named Terry Became a Film Icon It was the kind of moment that has defined the lives of many young performers and future stars. Abandoned by her birth parents, Terry had spent the better part of three weeks hiding under the bed of the German couple that had taken her in. Crippled by anxiety and shyness, life seemed like one big rug stretching endlessly ahead, and Terry — a 1-year-old Cairn terrier — was a carpet-wetter. But Terry refused to be defined by a weak bladder. She came out from under that bed, channeled her insecurities into her training, and just five years later she was on top of the world. No longer an insecure carpet-wetter but “Toto,” with a career-defining role in The Wizard of Oz , which opened in theaters across the country 75 years ago today and turned her into perhaps the most beloved animal in Hollywood history. Westchester Kids ‘Follow Yellow Brick Road’ To First Wiz-Fest With the help of the scarecrow, tin man and cowardly lion, three young ladies were granted their wish to sing “Wizard of Oz” songs karaoke style at the first Wiz-Fest in Peekskill on Saturday. The story oft told is that a 12-year-old Baum, on his way to military school in Peekskill, asked for directions and was told to “follow the yellow brick road.” “It’s a great story. I don’t know if it’s true, but I want it to be,” said Brian Snee, an associates director and chair of the Department of Communication Studies at Manhattanville College who recently moved to Peekskill. ‘Wizard Of Oz’-Themed Series ‘Emerald City’ Not Going Forward At NBC NBC won’t be heading for Oz. 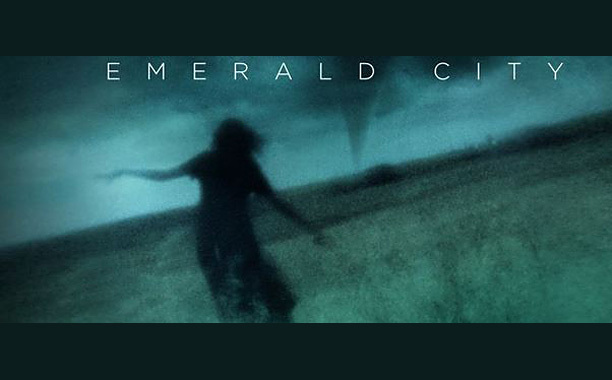 The network has opted not to proceed with Emerald City, its 10-episode Oz-themed drama series, which had been ordered straight-to-series for next season. The project hails from executive producers Matthew Arnold, who originally conceived the idea and penned the original script, and Josh Friedman, who tweaked the pilot script and has been running the writers room. I hear after several backup scripts had been produced, there was a difference in vision between NBC brass and Friedman about what the show should be, leading to NBC’s decision to not go forward with it. Word is that Universal Television, which developed the project and is producing it, is still high on it and may shop it elsewhere. Can CNY support two Wizard of Oz museums? This week, the Lyman Frank Baum Foundation officially purchased the West Onondaga Street house from the Syracuse Land Bank. The foundation is planning for elaborate interactive exhibits at a museum called Oz Home. “It’s going to be beyond a museum. It’s going to be classified as one, but it will do much more. People can use their imagination,” says Oz Home Executive Director Kathleen Di Scenna. The foundation estimates the Oz home needs about $225,000 in renovations. 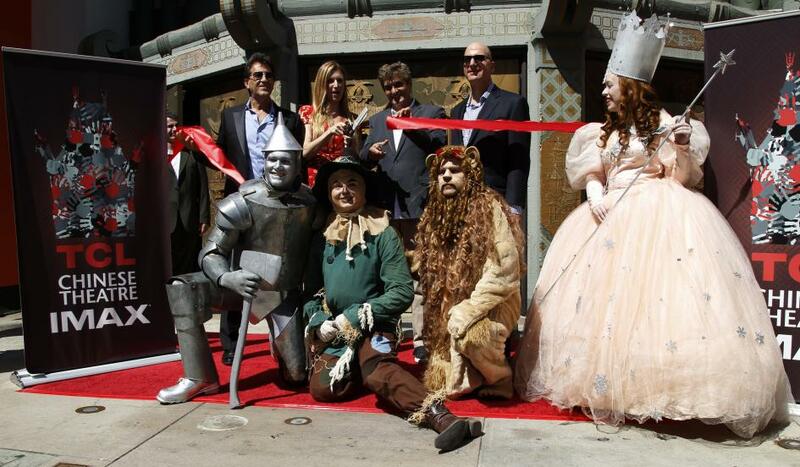 It would be the second museum devoted to L. Frank Baum and the Wizard of Oz to open in Central New York. The All Things Oz Museum in Baum’s birthplace of Chittenango moved into a larger, permanent home earlier this year. Both museums have been fundraising, and some have wondered: Can the area support two separate Oz museums? Watch the Story Behind the ‘Wizard of Oz’ You Never Got to See Decades before Mario Kart and Thor made it cool, Oz screenwriters Edgar Allan Woolf and Florence Ryerson — who were hired to take a pass at an early draft penned by Noel Langley — dreamed up the idea of a grand Rainbow Bridge connecting Earth to magical lands beyond. This bridge would provide Dorothy and Toto with another way into Munchkinland, one that wouldn’t necessarily involve an errant tornado. But the cost proved prohibitive, so the girl and her dog had a rougher trip to Oz after all. 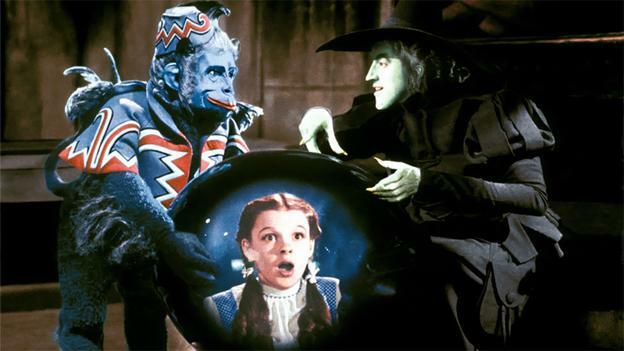 It took some real wizardry to make ‘Oz’ effects The special effects experts couldn’t just take a camera out to Kansas and wait for a tornado. They had to make one. “They tried a test first with a water vortex, and talked about rubber, and finally settled on cloth,” Oz expert John Fricke said. “They came up with a 35-foot-long muslin stocking that they wrapped around chicken wire to give it a conical appearance.” Gillespie rigged up a gantry crane, rotated by a motor, that traveled the length of the soundstage. The base of the tornado was fastened to a car below the stage, where the crew moved it along a track. The farmhouse, fence, barn and prairie all were done in miniature, and clouds were painted on glass. Wind machines and dust added the final touch. They filmed the tornado sweeping across the prairie from several angles, at distances, coming close to the camera and going away, Fricke said. “Once the (tornado) film was complete, they showed it as rear projection behind the actors,” he said. 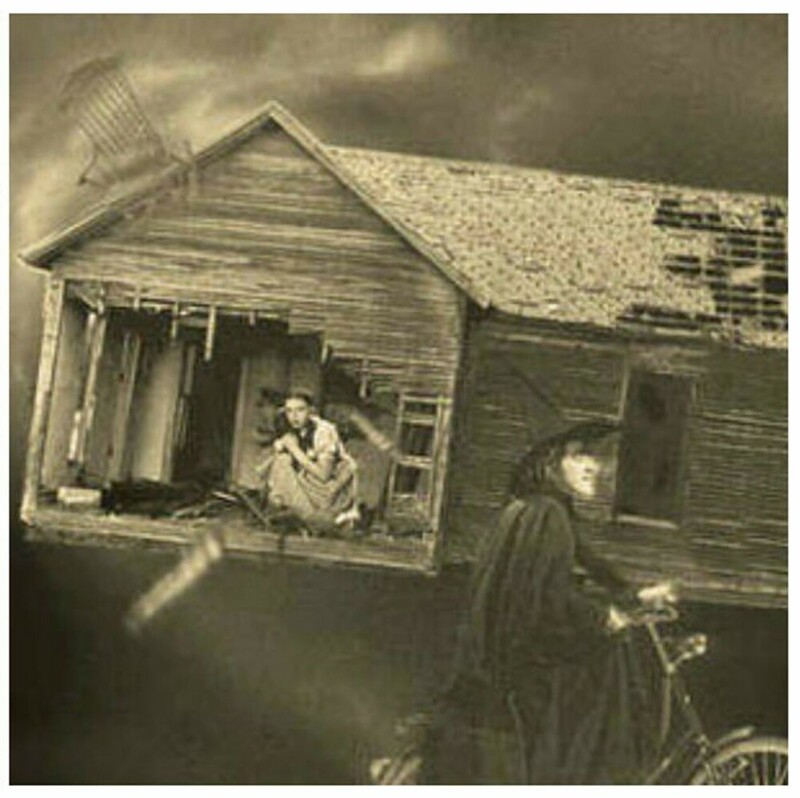 Wizard of Oz’ look-alike contest at Bucyrus’ Bob Evans Farm Visitors can tour the Homestead Museum and Gallia County native Jane Stowers Craddock’s “Oz” memorabilia collection of more than 1,000 items from 10:30 a.m. to 7 p.m. Her collection includes framed signatures of actress Judy Garland, autographs of the Munchkins, personal clothing worn by the Munchkins, movie posters, a life-sized Wicked Witch of the West and others. No Oz Fest this year in Tinley Park There’s no chance to see the wizard this year in Tinley Park. The festival tentatively was planned for Sept. 19 to 21 on park district property south of the 80th Avenue Metra station as well as Veterans Parkway and some state land just west of the former Tinley Park Mental Health Center. Dave De John, organizer of the Midwest Wizard of Oz Festival, said plans now are to shoot for bringing the festival to the village sometime next year. Rex Parker Does the NYT Crossword Puzzle Everyone loves “The Wizard of Oz,” so building a theme around it seems like a good idea. And probably could be. I didn’t think this idea worked very well, though. Even more than yesterday’s, today’s theme just isn’t tight, clean, crisp. Dorothy wanted to go home … right? Am I remembering that right? To say that DOROTHY went to OZ to find a brain, courage, and a heart is to abbreviate the plot of the story in an absurd way. She wants to find those things *only* because of the three characters she meets on the way to OZ. In fact, when she sets out, those items are Not on her mind at all. 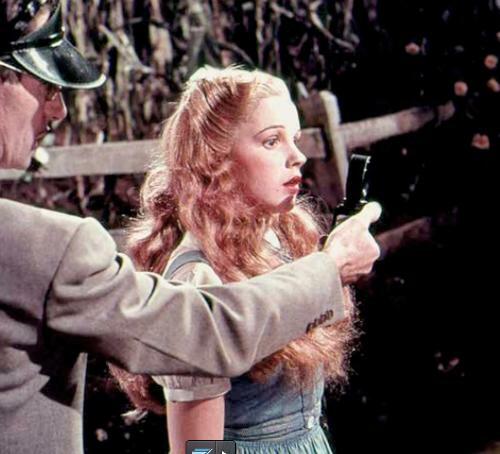 So without the Scarecrow and Tin Man and Bert LAHR, this theme feels hollow, incomplete, weird. Nevermind that IBM’s Watson seems like it should be “artificial” intelligence (a real phrase) instead of ARTIFICIAL BRAIN (a phrase I’ve never heard) and that all ONE’S make me a little queasy. The DOROTHY / HEROINE bit in the middle is kind of a nifty trick. I wonder if HEROINE wasn’t one of those dumb-luck discoveries that constructors sometimes stumble into—a bonus theme-related answer you realize belatedly that you can build around existing themers. 9 Wizard of Oz-Themed Vacation Rentals in Honor of the Film’s 75th Anniversary You’ve seen the movie (maybe more times than you can remember! ), and now you can be transported to Oz in real life. To celebrate the anniversary, we have a list of look-alike holiday rentals from HomeAway that will bring the classic movie to life. From a condo that shimmers like the Emerald City to a castle that’s the spitting image of the Wicked Witch’s home, there is a special destination for every fan. Dorothy’s ruby slippers remain the holy grail of Hollywood memorabilia Kansas City native Keith Holman, a costume designer in Los Angeles, has a special connection to the scarlet footwear. His friend David Elkouby has owned a pair of the genuine slippers since 2000. And Holman spent time learning the craft of costume beading from Stella Ruata, whose late mother, Aurora, worked for MGM and hand-sewed beads onto some of the slippers used in the movie. The women told him slipper stories, like how some of the first versions had to be redesigned because they were too heavy for Garland to dance in. In 1989, during the movie’s 50th anniversary year, Holman considered obtaining a license to replicate the slippers — “because that’s as close as most people will get” — but he never finished the process. Like any other lover of Oz, he’d love to own a pair, but few people can afford the million dollar-plus price tag. So he has started collecting other movie memorabilia, including one of the oil cans Jack Haley used as the Tin Man. Holman is now in discussions with Union Station and the American Jazz Museum to display part of his collection in his hometown in coming months. Long and winding Yellow Brick Road to icon status Times, clearly, have changed, and I suspect plenty of millennials have never seen The Wizard of Oz. They confess little patience with films whose special effects aren’t hyper-realistic. Will films with lines like “Toto, I’ve a feeling we’re not in Kansas anymore” hold any meaning for future generations of filmgoers? No one knows for sure, just as no one can predict which movie from this summer’s slate, regarded as lackluster by box-office analysts, might someday be elevated to iconic status through some futuristic method of distribution (Holography? Oculus Rift? 8K Ultra HD?) as television did for The Wizard of Oz. All that seems assured is that everyone who can capture the beauty of childhood, as Victor Fleming and his film’s cast and crew did 75 years ago, deserves to be celebrated. ‘The Wizard of Oz’ Dazzled Audiences 75 Years Ago Today With the notable exception of Walt Disney’s Snow White, Hollywood’s attempts to snare the mood of fantasies and fairy stories have been indifferently rewarded. Perhaps the fact that the Disney cartoon will eventually gross at least $7,500,000 – an all-time screen record – encouraged Metro Goldwyn-Mayer to risk approximately $3,000,000 on a flesh-and-blood re-creation of another famous children’s story. “Wizard of Oz” Fans Follow Yellow Brick Road to Mapleton “This is very much a diamond in the rough.” said Hollis Park District Director Jim Robertson. “This is the Wizard of Oz Fest 2014. It has grown every year. This is our third year, and we’re very excited about the outcome. It’s a wonderful thing to have a garden for the characters to actually go through and a real yellow brick road.” This is the third year for the Wizard of Oz Festival, or Oz Fest. It is becoming a tradition for fans of the book, and the movie, click their heels and end up in Mapleton each Summer.